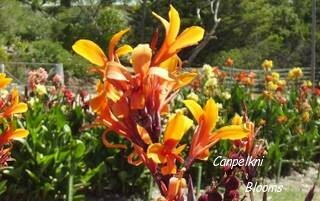 When planting cannas it is essential to remember thats growing cannas need a minimum of five to six hours sun. Find an open postition that gets plenty of sun as the more sun that they are exposed to then the more your plants will grow and the better the flowers will be also more flowering stem will be produced. 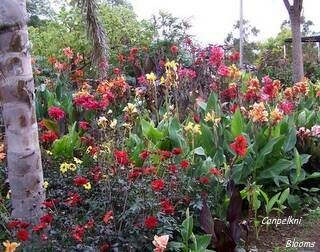 In full shade they simply don’t produce as many multiple branches per stem and the canna flowers will be slightly smaller than what they could be but overall they still perform well. Cannas need heat to grow and flourish to their full 'wow' potential. 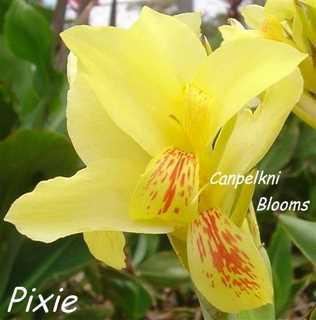 Some soft yellow flowering cannas such as Pixie actually last longer in a shady position, in full all day sun Pixies flowers will start fading fast through to white. To get the most from your cannas give them sun all day but remember that they also give superb results when planted in a partly shaded position.